2017 is swiftly coming to a close and it feels only natural that I would stumble across one of the better IEMs sub-$99 right now…go figure. The audio God’s are cruel sometimes. These $59.99 ANC IEM’s by ADVANCED took my breath away. and I am terribly saddened that the Christmas holiday is over and I will have to recommend these for future birthdays or perhaps next Christmas. Cecilia Bartoli is back. After far too long without a new “solo” recording venture, the phenomenal mezzo-soprano returned to the microphone this past March, three months before she turned 51, to record nine Dolce Duello (Sweet Duels) with the 1759 baroque cello of Sol Gabetta. 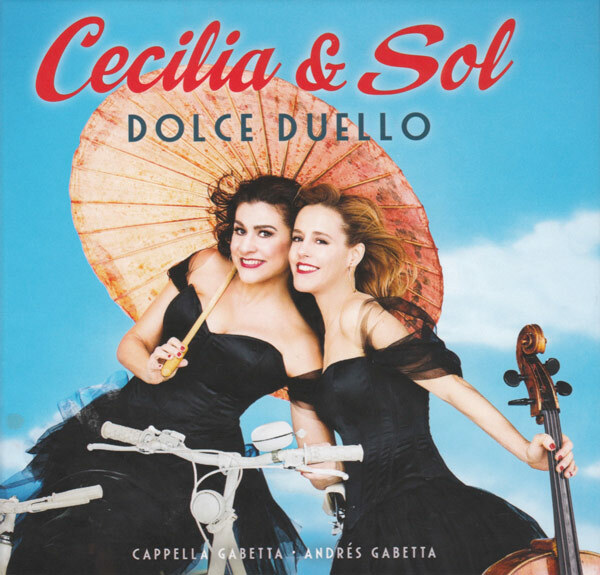 Supported by Sol’s ensemble, Cappella Gabetta, under the leadership of her violinist brother, Andrés Gabetta, the two women deliver one sweet delight after the other. You’ll note that we’re not calling this the Best Albums of 2017. There are plenty of those lists out there, and they are pretty much dominated by this year’s critical darlings with some heavily promoted mainstream names thrown in. Instead of repeating that, Part-Time Audiophile asked its writers to share their favorite releases. 219,373 – the number of uniques (individual readers) visiting DAR in the last 4 weeks. “Is that a lot?”, you ask. Like this site’s own review commentary, performance must be triangulated from comparative data points. I ain’t sure about the title but this is the story of an old Fidelity Research moving coil cartridge, a Sumiko high output Talisman S and an old Sumiko tonearm. The stars of this week’s Picture Sunday are the nine most liked pictures on our Instagram account. The best of 2017 ! Fiio surely still is popular. In this picture you can find the Fiio X5iii and the latest edition of their Fiio A5 portable amplifier. I very rarely use this combination but it looks like I should use it more. After recovering from a Christmas day celebration that had way more ‘party’ in it than ought be, I spent a few days listening to the headphones on the Wall of Fame Over-ear Open page with an ear out for readjustments. Basically, the Focal Clear has reset the bar. From now on I expect tonal balance from a $1000+ headphone. If it doesn’t have it, it ain’t going up on the WoF anymore. Here’s what I done did and why. Are there still audiophiles looking around for a CD player in today’s world of streaming audio? I think so.